Do you work for Reader? Learning about Adobe Acrobat Reader? We can help. "World leader in PDF document viewer." Adobe Acrobat Reader is the software that you must use in your workplace because it is the world leader in the visualization and editing of PDF documents, necessary to issue reports, reports, legal documents and so on. I use a lot of this software in my work as we do the presentation of all our reports in PDF format as they do not occupy much storage capacity, ideal for backing up all the documents you produce in PDF format, has excellent levels of security because this software offers you options to protect what you write in your documents and so you can not be copied, you have an excellent application for android, necessary to use this software anywhere you take your phone. No doubt this software should be used daily in your work. I have used this software for many years, I have seen its updates and I have been able to notice each of its changes and how it has contributed to the performance of my work activities. This software has no flaw as it is one of the most used worldwide ppr both is always updated and improved for use by customers. A software that I highly recommend to all workers who currently hold positions that require software that allows them to edit and view PDF documents. Adobe Acrobat Reader is the best software in this field, and I recommend its use. In my office it is important to have a compendium of softwares that allow you to fulfill your working day fulfilling all the objectives projected in the day. Among these softwares is Adobe Acrobat Reader, a software that has accompanied me for many years, and that has contributed to my formative, professional and managerial growth. "Portable document format with Adobe Reader "
Maintain the exact appearance of the document and is not dependent on the PC. That is to say, we do not depend on you having installed an editing program and creation of PDF so that they can also be displayed correctly. We just have to have a PDF reader, there are several for free. Likewise, where we visualize the PDF we do not have to keep the typographical fonts and the other printing characteristics, so that the document can be seen as much as where it was created. "The paradise of PDFs is Adobe"
Adobe Acrobat Reader is undoubtedly in my list of 5 best applications for writers, I use it for a long time, when I enter the world of reading and writing, Adobe Acrobat Reader we use it to share electronic documents. It is the only PDF file viewing program that can open all PDF documents and interact with them. You can view, search, electronically sign, verify, print Adobe PDF files and collaborate on them. So with Adobe Acrobat Reader I can not only read books, articles, and infinities of other texts, I can also create them, with the advantage that you will not lose your format regardless of the computer on which you open the file. I have nothing to say about this platform, it is easy to use and also super useful for any area of ​​work or for personal use, especially if you love to read. It is an excellent choice to read all kinds of files in PDF format, and also to create them, and edit them, the security in format and author of creation will no longer be a rpoblema for you with this platform. I visualize all the pdf files that I send with Adobe, I also create documents with this platform and it is incredible, because they do not take up almost any space and when sending it to my colleagues or bosses, these documents do not lose their format. "Excellent application for reading pdf documents!" For my work every day I receive and I must send pdf documents Adobe Acrobat Reader to simplified my days I love this application because I can access and create pdf documents without major effort, it has several functionalities to edit and facilitate reading, porporsiona security and formality to the documents, with this Software I can open the documents from any computer or place where I am well from my lapto, tablet or cell phone. I would like to allow the change of pdf documents to word format this would be very useful especially to make adjustments to the initial text and then re-convert it to pdf of the rest is an excellent application of great use in reading documents. I recommend the use of this software to my friends and any professional really is very good, it improves the clean storage of documents, it offers an excellent format of visualization, margin adjustment, perfect prints without loss of paper, Adobe Acrobat Reader is very useful for doda The company as a pdf reader has many functionalities ideal for sending documents via email or simply to save them in the cloud. This software allows me to easily access pdf formats without any inconvenience is fast and versatile, in my work in the sales area and Marketing in a recognized consumer company has allowed me to send quotes and invoices to my customers and suppliers protecting my documents and preventing these from being modified, it really is an excellent tool! La rapidez con la que se inicia y carga los documentos es muy buena, aunque lo que más me gusta es la utilidad o herramienta de anotación (que en el programa se llama comentarios), es muy simple de usar y rápida de aprender a usarla bien, permite con una facilidad asombrosa poner comentarios a cada parte del texto y no solo por parte de una única persona. A pesar de ser una herramienta universal y bastante completa tiene algún fallo muy poco profesional, cuando tienes varios portable document files (pdf) abiertos en Adobe Acrobat Reader y los cierras, no se cierra el programa, sino que se queda el programa abierto a pesar de que si luego quieres abrir otro pdf no tarda apenas 2 segundos por lento que sea el ordenador, es una funcionalidad que debería tener, que al cerrar el último documento se cerrase el programa (o que se pusiera en segundo plano para no consumir recursos, como pasa cuando lo examinas el administrador de tareas). Es altamente recomendable para todo aquel que tenga que abrir a lo largo del día muchos pdfs o quiera hacer edición en el mismo o anotaciones. Es un must to, es decir, es un programa que te hace falta sí o sí para el día a día porque todos usamos para la documentación, estudios e informes archivos en el formato pdf y Adobe Acrobat Reader es el mejor para ello. With the Adobe PDF format you can open the document on any device with the operating system in the same way it was created, it is easy to visualize. It just needs to be pre-installed on the computer and it's totally free; Another benefit is that the PDF occupies very little space on your hard drive that supports a variety of image compression algorithms, plus you can customize the security settings, for example, prohibit printing or editing. It is an excellent tool for the protection of the texts of our authorship. Adobe Acrobat is a program used to visualize, create and modify files with the format Portable Document Format, better known as PDF in this way you can create an electronic library of PDF files. What are you waiting for? The PDF format is used for the storage and transmission of graphic and textual information on the Internet. So it is excellent for corporate purposes. For example, for a price list or conventions. What is used to make documents or research to my students at the university Experience the rhythm of reading. "An essential complement for the fulfillment of my labor objectives." One of the softwares that I use more for the projection of my career as a photographer is Adobe Acrobat Reader. Adobe Acrobat Reader gives me the possibility to edit PDF documents where I can add textual and photographic content at the same time, making known not only my photographic work but also my objectives as a worker. I use a lot of PDF documents because they weigh very little and I can carry them on my mobile device, or store them in the cloud and review my information wherever I want. This software is a necessary complement to meet each of my objectives at work. I have used this software for almost 10 years, using each of its tools and options, as well as installing and testing each of the new tools that are included in the software updates, coming to the conclusion that it is the pioneering software in the presentation of PDF documents, as it is very complete and has no weak points to mention. A software that is used in every office and company worldwide. Any professional who works for public, private or self-employed companies should have this software at hand, as Adobe Acrobat Reader is the most complete PDF document editor with the most beneficial options on the market. I highly recommend it. Adobe Acrobat Reader has accompanied me in each one of my formative and professional stages, making my work have an excellent projection platform. Thanks to this software I can say that I have grown as a worker and using it on a daily basis has made me perfect my qualities as a photographer and information writer. "A software of daily use in my office. " I and all the staff in our office use this software on a daily basis as it is the best software currently available for reading PDF documents. Adobe Acrobat Reader is a very useful software for us since all reports and work proposals are edited with this software, which allows you to integrate text and images in a single document with the best quality, also has a security option that protects the information you edit in your PDF document, and so no one can steal or copy the information. Another great benefit that this software offers me is that the documents do not occupy much capacity on the hard drive, so I can have many of these files on my computer or android phone without worrying about the capacity they occupy. All the functions that this software offers me are beneficial and necessary to develop my work in my company. It has a very easy way to edit documents, I can protect the information I write in these documents and I can use it on my android device thanks to its application. A software that has no flaws for me. I recommend this software to all companies that currently need to edit textual and graphic documents without losing the presentation quality of the information. Adobe Acrobat Reader is the undisputed leader in software for reading and editing PDF documents. This software was designed for companies and offices where documents are edited on a daily basis in order to fulfill our labor obligations. I have been using this software for many years and I have benefited a lot from its functions and what it offers me, making my professional career very successful.
" Adobe Acrobat Reader is on Top!" Everything is very good in adobe reader, it is amazing, its design is clean, intuitive, extremely easy even for beginners, its file editing is fantastic and the conversion capacity is great, several sharing options, file upload to cloud and best of all, it's free, a true example of work to be followed, a gigantic quality free tool. sorry but I really can not find adobe crashes in acrobat reader, I will not invent defects that do not exist, maybe the only obersavação that I can do is on the support, in the few times that I needed to use it it was not very agile in respond and took a little longer than it should, just this. Few file types are as consolidated as PDF He is in everything, including bank notes, payment guides and etc. This type of file so strong and consolidated has a program at his height, Adobe Acrobat Reader, it is simply at the top when it comes to PDF tools, it is well Difficult to find a computer these days that does not have acrobat installed, I even use it both in the company where I work and in my home. Adobe Acrobat is complete. In our company it is used by all departments to handle hundreds of files received in PDF, we use it for both reading and making small adjustments and making impressions. When the subject is PDF, Adobe acrobat reader is at the top. "PDF documents at my fingertips." Due to my labor obligations, I am required to produce reports of activities related to the safety of our workers and the assets of our company. Among the options of existing software in the market for the elaboration and presentation of texts and images as a whole, there is no software more complete than Adobe Acrobat Reader, since this software has the best tools for the elaboration and edition of PDF documents, making the reports and security reports that I elaborate for my company are the best. I like very much to use this software in my work since the documents I produce with this software do not weigh much, therefore, I can have a database that I update daily and save it on my hard drive or in the cloud. Another very interesting aspect that this software offers me is that I can protect the documents that I make against writing, making them cannot be reproduced or copied, this is very important for the fulfillment of my objectives at work since the information that I break down in my reports contains confidential information of our company and therefore it would be catastrophic if this information were stolen from our company. I have been using this software for more than 5 years and I have used each one of its characteristics in the elaboration of reports, reports of activities and irregularities and in proposals to improve the security levels of our company. I have been able to test old versions of the software and its updates and I feel totally satisfied with what Adobe Acrobat Reader offers me, whether I use it in my pc or in its application for smartphones. Having said that, I believe that this software has no weak points. A recommendation that could give all workers who want to scale in the company where they work is to start using this software that is pioneering in the editing and presentation of PDF documents, where you can integrate not only text but images as well. If you are in a big company working, this software must be in your most used software to complete your work objectives. When I talk to my colleagues about the benefits of this software and how they have influenced my professional career in the area of business security, we all agree that this software has what it takes to enhance the qualities of any worker, in addition to adding a lot of technicality to the information you want to reflect. Adobe Acrobat Reader is that software that I never stop using because it makes me much better professional. "Adobe Reader gives a wholesome reading experience"
Adobe Acrobat Reader is an extremely slick program for .pdf documents. The variety of options presented to the reader is quite unique. One can highlight, mark, and select text and the watermarking feature is impressive as well. An exceptional attribute of this program is the integration of audio output of the text that provides an entertaining experience of reading. The fact that it cannot convert .pdf to .doc. or other file formats without purchasing a licence or buying the software is annoying owing to the wide application across multiple areas. I would certainly recommend considering Adobe Acrobat Reader as the primary application for reading .pdf documents. I routinely use it read research article and research papers. It not only gives me the comfort of accessing my literature at any given time, but also helps me organize my impact points in the literature by appropriate highlighting. I love the application very much. "El mejor lector de PDF"
Adobe Acrobat Reader ofrece rendimiento, capacidad de uso y capacidades. Esta aplicación tiene seguridad y máxima compatibilidad con el formato PDF. Este programa permite incorporar los documentos de firma electrónica o las iniciales y enviar el formulario de forma electrónica que personaliza y mejora el desarrollo y la propiedad intelectual. Es un programa fácil de usar y entender. Adobe Acrobat Reader permite crear archivos PDF estándar. Es una excelente opción para proteger los formatos de los archivos o documentos. No es posible editar documentos en la versión gratuita. La instalación del programa lleva mucho tiempo. Sugiere que el asistente de opciones esté optimizado para proporcionar al usuario mayores recursos al producir o editar un documento desde la PC. Adobe Acrobat Reader es una excelente opción para resguardar los trabajos en cualquier formato. Con esta herramienta puedes proteger tus archivos y estos no pueden ser modificados. Es una herramienta fácil de usar, todos pueden entender y trabajar de manera inmediata. Puede trabajar con Adobe Acrobat Reader para crear y editar documentos, formularios, entre otros. Es fácil agregar comentarios e ideas en estos documentos y compartirlos con colegas sin ningún problema con la incompatibilidad del programa. Con este programa protejo los archivos, y permite que los documentos no sean modificados. Puedo enviar los archivos por correo electrónico, compartirlos con mis colegas a través de Dropbox y mantener el formato de los archivos. "Now of days no one can use books and note everyone using adobe Acrobat Reader reading documents." Like is more thats why all people now of days using it for reading documents and all types of official pdf files and books etc.I like its simpleness and opening style for document saving style all are good.Very much interesting feature is available like scan any raw documents to software documents like pdf file . Dislike its save location does not found easily where is document stored many times confusion arises,where documents saved on device.As well as if dark mode is there for reading documents it was very useful for any user. For every student,adult businessman it is good application to read save and mark documents and improve your knowledge. Many business problems solved by adobe acrobat reader ,using this in bus in car or in train we were prepare ourselves to teach or to train anyone or trained ourselves .Any book any notes you can save and retrieve documents and read everything. Dentro del propio programa de lectura tienes la suite, es decir, puedes editar, firmar, etcétera. Es una solución muy buena para quien necesite algo potente y completo sin consumir apenas recursos. No me gusta que no se pueda recordar la opción de ocultar el menú, ya que en una pantalla ultrawide con 2 documentos a la vez a pantalla partida, ese menú desplegable automático te obliga a cerrarlo cada vez que lo abres, una y otra vez. A pesar de que es muy sencillo de usar, el precio por la suite para desarrollar completamente su potencial es algo caro, pero de todos modos merece la pena. La herramienta de Adobe puede ser muy útil para cuando necesites rellenar documentos oficiales en PDF, ya que puedes leer, editar el texto (las casillas en este caso) y además firmarlo, un todo en uno que se hace indispensable en ciertas situaciones, por ello lo escogí frente a otros. Cabe destacar que tiene un diseño muy limpio y ordenado que te ayuda a usar el programa de manera eficiente y esa es una razón más para escogerlo. Este es mi programa favorito para lectura de documentos PDF. La velocidad, facilidad y utilidad que contiene es increible. Siempre acompaño un Windows que instalo con este programa que, aunque Microsoft Edge y Chrome tienen la capacidad de la lectura en este formato, no tiene las mismas utilidades unicas de Adobe Acrobat Reader. Me gusta especialmente que añada la facilidad que continúe en la pagina con la que se cerró la ultima vez y permita continuar la lectura. También admite la protección de documento creados, firmar digitalmente, lectura en voz alta; entre muchas otras funciones. Es realmente super ligero la instalacion y sencillo su uso. He utilizado esta aplicacion por mucho tiempo y para la fecha de hoy no le he encontrado nada negativo sinceramente. Es muy practica y la recomiendo a cualquiera que a diario requiera un lector de documentos PDF. Pueden descargarlo directamente desde la pagina oficial de Adobe para que se descarguen las ultimas actualizaciones con las nuevas características. Aprochen la posibilidad de esta version gratuita. Existe una version que es paga y, obviamente, incluye mas funciones, como convertir un documento PDF directamente desde allí hacia cualquier otro formato. Añadir firmas digitales o guardar el documento el Cloud. Con Adobe Acrobat Reader he pudido realizar lectura de documentos personales, de entretenimiento y corporativos. Me ha permitido convertir un documento ordinario en uno extraordinario y hasta con métodos seguros para hacerlo llegar al remitente. "An ideal software to make my work reports." Adobe Acrobat Reader is a software reader of documents in PDF format that has as main function to present texts and images in a single document, with a visualization of high quality, it is one of the software more used in the big companies, offices and global corporations since it has a lot of tradition. In my functions as Analyst of Accompaniment and Community Management of the Company where I work I benefit from this software since each one of my reports and proposals of work I do them in this software and then I send it to my Managers. I like to use Adobe Acrobat Reader at work because it is a software that presents documents and images very well, in addition that the pdf format weighs very little, or so much does not occupy much space on the pc. This software combines the best of text and image editing in pdf documents with a very easy to use and your documents take up very little storage space. It is a software that I have used many times Currently I use it on a daily basis as I must present my reports of activities performed, and each of its functions are very functional and useful to fulfill my job performance, so I feel quite satisfied using Adobe Acrobat Reader. Adobe Acrbat Reader is that software that you must have in your repertoire of most used software to be an excellent worker. Very easy to use, practical, takes up little storage space on your hard drive, security against writing and the best aesthetics to present documents, reports and work reports from all over the market. A software with a lot of tradition that you must use. if you want to grow as a worker. Thanks to the use of this software my managers and co-workers have been able to witness my career advancement and my growth as a professional in the sociological area. I have had the opportunity to use other software that allows me to edit texts and images in one format, and I only feel comfortable using Adobe Acrobat Reader. This software has given me the best tools to grow as a worker and become a better professional. "Read, organize and edit PDF documents effectively "
What I like about this Adobe application is that I can access documents with pdf format very easily and also provides several tools to edit and facilitate the reading and analysis of them. Also with this program I can open the pdf files on any device, be it laptop, pc, cell phone or tablet, for free and the best thing is that it does not take up much space on the hard disk or memory. In the office where I work every day we receive, send, analyze and work with pdf documents of official and institutional character therefore this Adobe program is of great benefit to the company because we can do much more than just visualize the pdf, you can maintain an organization of files and even create documents, minutes, information magazines, catalogs and many other options more easily and safely. the best solution that adobe reader has, compared to other file reading applications such as Word, is that nothing can be edited here, I know that the idea of PDF files is to make files more secure, but with the technological advance this of porting the pdf files, is not something so momentous, so this feature should be enabled in this tool, even if it is to make minimal modifications. The best application to make a perfect reading, of all kinds of pdf documents. is a tool that can not be absent in any company, regardless of the sector where it works, there will always be pdf files, which will need to be read, for different tasks within our company, in our company, we have hundreds of documents in our databases, and a high percentage of these is made in pdf, with adobe acrobat reader, we can make an optimal reading of these documents. "Adobe Reader for PDF Magagement.."
Adobe Acrobat Reader is used as one of the greatest tool for managing with you PDF documents. It is very easy to edit documents using Adobe reader and also for deleting pages if you want to. It is best for creating your PDF document. I have been using Adobe reader for reading PDF documents for years. You can use this tool to edit text, images etc of a pdf document. You can easily convert other formats documents like word, excel etc into PDF. For me what I find with the disadvantage of Adobe Reader is that sometimes it is very difficult to find out what you want to do with this tool, for instance while editing your PDF document you find it little difficulties. So one should have much knowledge about Adobe reader before starting editing data. You need to learn about it. For reading PDF it is best.. Recommend this for PDF documents reading. I am using Adobe Acrobat Reader as my PDF reader. "Software leader in the use of PDF documents." To speak of Adobe Acrobat Reader is to remember that this software has been in each one of my formative stages and now in my stage as an employee of the company where I work. A software that has many benefits that were specially designed for large corporate environments and companies, where excellence and quality of work are premises. Adobe Acrobat Reader has very good tools that allow to visualize texts and images in very clean and complete documents whose presentation make it the ideal software to use in offices and companies. This software not only offers options for viewing documents and images but also offers you security and protection of the documents you make, making nobody can copy the information you edited. All these benefits are combined with a unique feature, which is how compact PDF documents are, this is a wonder because you can make many files without worrying about occupying the maximum capacity of your hard drive. I have been able to witness both in my college days and in my career all the benefits that Adobe Acrobat Reader has, trying one by one your options being totally satisfied, this combined with your updates make this software has no defects that I should mention here. This software must be installed on your mandatory pc. I highly recommend this software because it has excellent features that will allow you to edit PDF documents in the best way, allowing you to present reports, reports, minutes or analysis of high quality. Adobe Acrobat Reader contributed to my academic training and now contributes daily to my job development, making each of my skills in the preparation of reports and job proposals are very competitive and adapted to the high job demands of the company where I work. Every time I use this software I test my professional skills feeling comfortable with the results of each of my reports that I do with this software. "Adobe reader is using as the best ever PDF managing system.."
Adobe reader allows you to perform a variety of editing functions on your PDFs on desktop and mobile devices. It has a feature of cloud based commenting and sharing. It helps in converting various file formats into PDF document. You can easily create and edit your PDF documents with the help of this great tool. It provides easy conversion of PDF into word power point etc. Through Adobe reader you can protect your PDF documents using a password created by yourself, so that your valuable documents be kept safe. Its ability to create PDF forms is a great advantage as well.. The disadvantages depend on your need of this tool. If you need to check your PDF, there are no negative functions. If you need more function sometimes it may fail to comply. Editing is also not possible with some formats. I will recommend this for all those who want to deal with PDF documents. I think it is the best PDF management software I have ever used. I like the features like navigation, good performance with huge sized PDF files, hand tool, selection tool for texts and images, zooming capability, add note, sharing capability etc. Editing is difficult, verifying digitally signed documents is slow and sometime requires configuration. Other than these I can not really say any disadvantages or issues of this software, it has always been my favorite PDF viewer software. This is the ultimate and exact software your PDF viewing need with lots of additional features. It is available for mobile devices as well. I am using it form day to day PDF viewing and normally I used to read a lots of PDF documents and review them, it helps me to review the documents by adding notes at places. I am thankful to Adobe for making a great software like this. "Adobe Acrobat Reader is a need in a modern office"
Today PDF files are one of the most used formats around the world and Adobe Acrobat Reader provides a tool for dealing with these PDF files. I like that it is possible, not only to view PDF files, but also to edit them. It is really cool that you can provide a digital signature for example or simply just add some text to the PDF file. The software have been getting some significant updates and it is nice to have a tool, which can do more than just view PDF files. I dislike the fact that the focus is too narrow, solely on PDF files. There are room for more improvement and development. It would be nice to for example provide digital signatures on other types of files as well. Furthermore it should be possible to add more features to the editing section. The more options with editing the more flexible a company like ours can be, when it comes to information sharing. I dislike that Adobe Acrobat Reader is not developed further as of now. Think about how you use Adobe Acrobat Reader in the best way: For example do you want to edit your PDF files a lot, then there might be alternatives on the market, which can be useful in different ways. Besides that I think that Adobe Arobat Reader is a must have for a alle offices. We are able to treat PDF files and edit in them (with limitations). We can use the digital signature function in a lot of situations. We do not have to scan as many physical documents anymore, because we can simply just edit them in Adobe Acrobat Reader. What I like about Adobe Acrobat Reader is that it is a useful tool to have when it comes to reviewing documents. I think that it is an excellent program that gives the user the ability to edit the document whether by allowing them to use the redaction tool to protect the privacy of restricted information. Or that the program allows for the use of a signature tool that gives the user the ability to approve changes or finalize important documents. One thing I feel like could be better with the program is the ability to allow the user access to go within the PDF and change it over to a word Document with ease. this is important to me because it would allow for a easier process to make amendments to important information. But, overall the program is amazing, with some minor tweaks it would be considered a superior program. Its a great program that is versatile and offers a wide range of usability. It really is a must have for a company because it allows documents to be review effectively without the hassle of having hundred of printed pages across a desk. the use of an electronic viewing source is the best form for viewing documents and I highly recommend it. One problem that I find Adobe Acrobat Reader solving is that it offers a viable solution to transfer information between individuals via a electronic PDF, I believe that it allows for individuals to each have a one-on-one connection with the important information I also believe that it gives said individuals the ability to sign off on changes that may need to be addressed within a company. Another problem that is solved is the ability to use it to view restricted information with ease and still offer the protected security needed for an organization standards.
" The best document viewer in PDF format"
Adobe Acrobat Reader is undoubtedly the best document viewer in PDF format. It has many features that make it position as the first of its kind since it does not miss any detail when working with this type of document. It is superior to other viewers in several aspects such as in the selection of texts and images, since both actions can be carried out without any problem. Other viewers generate errors when selecting images and texts, showing parts of the document that have been incorrectly selected. This program is also superior when looking for words within the text of the document, since it locates them quickly and without error, which makes us sure that if the program does not find the word we are looking for, the word is not there. It is a bit heavy at the time of installing and executing it, which causes the computer to slow down constantly. Another drawback is that the plugins of the browsers constantly make the documents open as an internet page, which particularly causes me annoyance since it slows down the browser at times. Adobe Acrobat Reader is the number one option in our company, as we are constantly working with documents in PDF format. All the publications and scientific articles that we consult are that format and in many opportunities they are very extensive documents, so we need the search tool to be accurate in infallible. In the same way we usually save PowerPoint presentations in PDF format when presenting them at conferences, avoiding the inconveniences of incompatibility. "A software that complements my working day "
It is well known that Adobe Acrobat Reader is the most widely used software worldwide for the transmission of graphic and textual information. This is made possible by the PDF format, a large format that can be used on all computers regardless of their operating system. Although there are many softwares that allow the reading of documents in PDF, I chose Adobe Acrobat Reader, because it is the software that offers me the best tools for handling documents in PDF format. With Adobe Acrobat Reader I make my reports about the audits and quality controls that I make in the facilities of the aeronautical consortium where I work. In addition to this, I can add textual or graphical information that allows me to back up the information I intend to back up to send to my immediate supervisors to address the problems I describe in my audit reports. Another of the benefits I find in this software is that the documents I produce do not weigh much, so I can have all the documents I produce on my pc, without them taking up much space. The only problem I could mention here is that it is not very easy to edit documents in PDF format, before using this software I had to learn to use all the tools for editing documents in PDF format and thus use it to its maximum capacity. Adobe Acrobat Reader is undoubtedly a well-known software in all corporate and business environments. A pioneer software in the presentation of documents and images in PDF format with tradition and quite efficiency. Undoubtedly I would recommend this software to produce documents in PDF format. This software is my complement in my work. Adobe Acrobat Reader for me is an indispensable software which I must use daily to make my reports and present my audits and aeronautical quality controls. Using this software has improved the way I present information and has added quite a bit of quality to my reports, making me a hard worker. "Best tool for any business "
This is most used tool in market for read and visualize document and image. This best creation of abode for good presentation of both text and image together, this tool is most used software in any computer and mobile. This tool has awesome PDF reader facility which is very useful for many person who always dealing with document and image. I have to use this software everyday because i have to show PDF document to my client every day. This tool also graphs and it is very under stable so other can easily understand document easily. I used this software since last year and never finding any difficulty using this software but i have to tell it take long time to start and load the documentation which is very tedious process for any user. Adobe should also effect in performance of computer because it take most of CPU when it start so i think if this software make some optimization than it will work very fine. This is useful documentation for any user who just want open any document and wan to read perfectly. It also generate other form of documentations also so it very useful for every body. My first use of this software was reading book. I download this software because i had one great novel which in form of PDF and there is some creative image also available in that so i use this to read book perfectly. In my collage and office life i used this software a lot because i mainly working with documentation.
" The easiest and fastest access to your most important documents "
"Excelente visor de tus archivos PDF"
Permite ver archivos de tipo PDF, la aplicacion se actualiza automaticamente. Es una aplicacion gratuita y de facil instalacion. Esta soportado a nivel mundial, muy conocida y permite que tus archivos de este tipo no sean modificados. Todo usuario debe poseer este lector para poder leer el formato PDF por lo que lo hace una herramienta fundamental en su uso diario. Para poder editar archivos de este tipo se quiere realizar un pago de la funcionalidad. Existen varios visores pero este se encuentra entre los mas populares y con un gran soporte a nivel mundial. Se recomienda su uso. Mucho de los documentos empresariales se estan llevando a PDF ya que no pueden ser modificados y requieren de esta aplicacion para ser leidos. El formato es muy utilizado para documentos legales, curriculums VITAE entre otros con informacion confidencial. Manuales y procedimientos resaltar informacion debido a sus herramientas de edicion. "Excelente lector de archivos PDF"
Lo que mas me gusta de Adobe Acrobat Reader es la facilidad con la que puedo manipular archivos PDF, ya que puedo manipular archivos que me han sido enviados, así como crear nuevo sin mayor complicación. Adobe Acrobat Reader me permite no solo visualizar documentos, también me permite hacer combinaciones de dos o mas documentos, colocarles marcas de agua, firmarlos, reorganizarlos, e incluso agregarles código JAVA. Con cada versión la aplicación se vuelve mas estable lo cual demuestra que están trabajando en mejorarla en pro de las recomendaciones de los usuarios. Algo que me gusta mucho es el hecho de que la interfaz grafica es exactamente igual en todos los sistemas operativo que uso. Tal vez lo que menos me guste es el costo del servicio, ya que siento que es algo elevado, y comparado con otras soluciones que se encuentran en el mercado, lo único que diferencia a esta aplicación es el prestigio y reconocimiento que tiene la marca Adobe. Prueben la versión gratis y luego evalúen si es necesario adquirir la versión full. Me ayuda a realizar la revisión y edición de documentos PDF de manera sencilla. Acrobat Reader es un software que permite mostrar mensajes e imágenes en formato PDF, . Es un software liviano, consume pocos recursos, fácil de utilizar, y además este tiene la opción de agregar seguridad a los registros, puede dificultar la duplicación del contenido pdf. Entre los grandes problemas que podemos mencionar es que este producto está popularmente confundido con la edición de escritos. Se puede añadir la opción de edición del texto de un PDF, pero no podemos usarlo de forma gratuita. Pero en general, es una buena aplicación que lo ayudará especialmente para un especialista en gestión de documentación. En mi trabajo es esencial tratar con informes en PDF, ya que es una centro educativo donde es necsario trabajar con actas, escritos, investigaciones etc y además nuestra directora solicita la documentación en este tipo de configuración. Este producto cambia de manera impecable a mi ritmo de trabajo, los documentos PDF son mínimos, no implican mucho espacio en la PC, son fáciles de leer y pueden protegerse para que otras personas fuera de mi entorno de trabajo no dupliquen o tomen el control. "Other software that makes reporting easier for my clients and managers. " 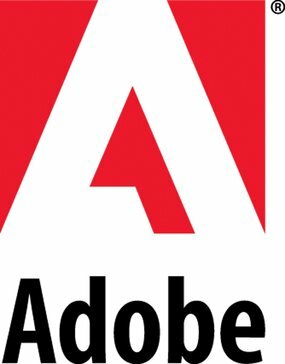 The company Adobe had already worried a few years ago in making a software capable of storing and transferring documents containing textual and visual information, surpassing with this many softwares that were dedicated only to textual or visual presentation. This was achieved through Adobe Acrobat Reader, an unparalleled software that knew how to insert itself into the business and corporate dynamics, at such a level of being the most used PDF format construction and editing software in all companies, even operating system packages such as Windows include Adobe Acrobat Reader in their installation. This software I use daily in my work as it is where I make the final presentation of my accounting analysis and audits, where I can add graphics, tables and estimates which I analyze and deliver in a PDF format as this format emits documents quite light, and I only need to have the software installed on my pc or my android phone to check or send it. It is also important to note that your presentation is one of the most pleasing to the eye this because it organizes the information very well and gives a professional touch to each report or final work that is done in the office. The problem with this software is not in the editing of images but in the editing of texts, as the PDF format usually perceives the text as an image, therefore it is difficult to insert text, it is not impossible to insert it, but if it is quite complicated. The majority of professionals in different branches of knowledge have had the opportunity to use this software, since it is the most used in the entire business and corporate world. The results are evident, this software is the pioneer in textual and graphic presentation and sending of documents over the Internet. Learning to use it is automatically inserted into the business world and therefore as a professional must use it. This software molded my accounting development and took it to a corporate and managerial level. Before using this software, my reports and analysis at work looked a little short and lacking in subtlety and business aesthetics, but after learning to use it to edit texts and images and build accounting documents, my career was boosted and I became a much more qualified professional and adjusted to the demands of management. "Ideal for use in any office"
This is one of the most used software in the market to visualize documents and images. Adobe has created one of the most effective and high quality software for the presentation of documents and images combined, which is recognized worldwide and is also one of the most used software, so you can find it on any computer or mobile device. I use this software because it offers me many benefits which I use daily with my clients, among these benefits I can mention that PDF files are very light, so I can carry a lot of these files in my email, or on my cell phone, also has a perfect combination of images and text, this is ideal for reports with graphs, have complete books, make tax documents for the company where I work and many more things that only offers me this software. My clients use this software all the time since they feel quite comfortable and safe when they provide information to make their financial and tax reports. This software was designed to be inserted in large companies and corporations. It has too many benefits that make it very competitive against a market with many software with the same features, however, I recommend Adobe Acrobat Reader, because it is the most used software worldwide for the combined presentation of text and images. My professional growth has been closely linked to the use of this software. In the first instance it has given me the digitized books that I have needed to read them and train myself day by day and on the other hand it has given me the tools at the level of presentation of texts and images necessary to provide my bosses and clients with tax analyses with the best visualization of texts and combined images that a software can offer me. A software that has made us more competent as a team.